Before you resign yourself to a life of Ben & Jerry’s and Netflix, have hope: online dating is alive and well in (some parts) of the nation. Let’s face it, times have changed. The likelihood of running into your soulmate grocery shopping or locking eyes across the dancefloor is slim at best. Creepy Guy waiting to make his move on Aisle 3 might say otherwise, but online dating has its perks—and, depending on where you live, might just lead to your happily ever after. It turns out where you live has lots to do with online dating success. (If you live in a state with more cows than people, it might be time to mooove). 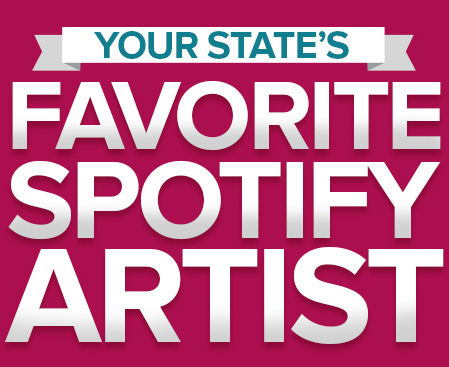 Lucky for you, our team at All Home Connections looked into which states use which online dating apps the most, so you can get swiping, liking, and posting! 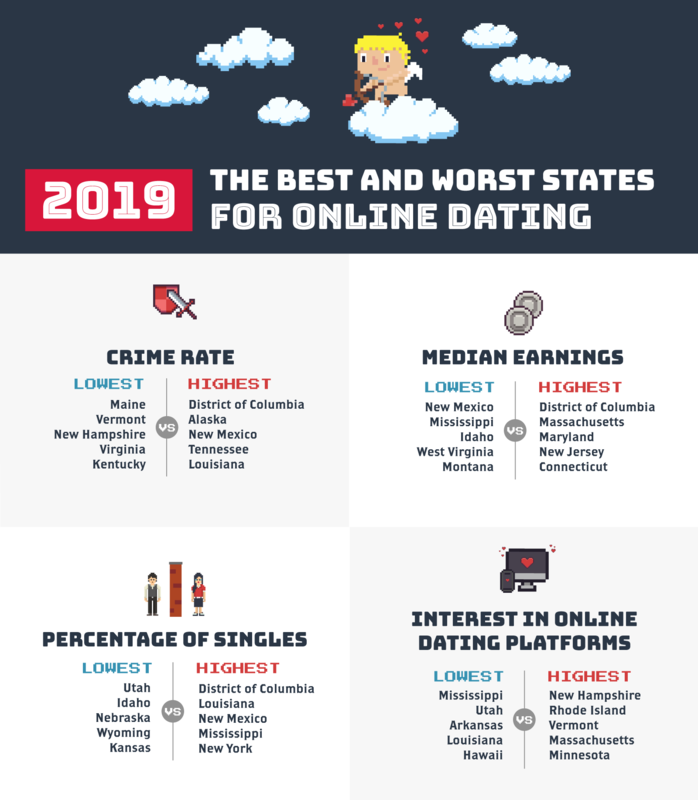 Compared to 2018, New Hampshire is still the #1 state for online dating, and also #1 for opportunity. 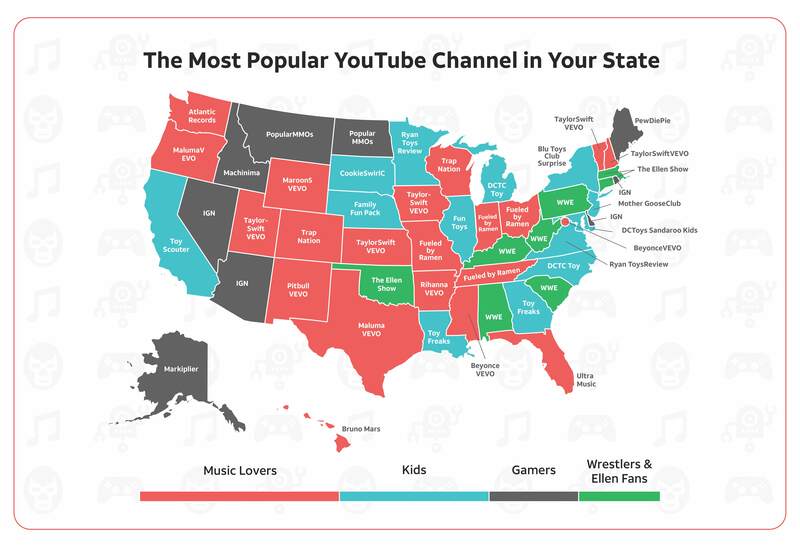 93.66% of New Hampshirites own at least one computer or smartphone and display the highest search interest in online dating apps. Massachusetts dropped from #2 to #4. Minnesota, Colorado, and Washington rounded out the rest of the top five. 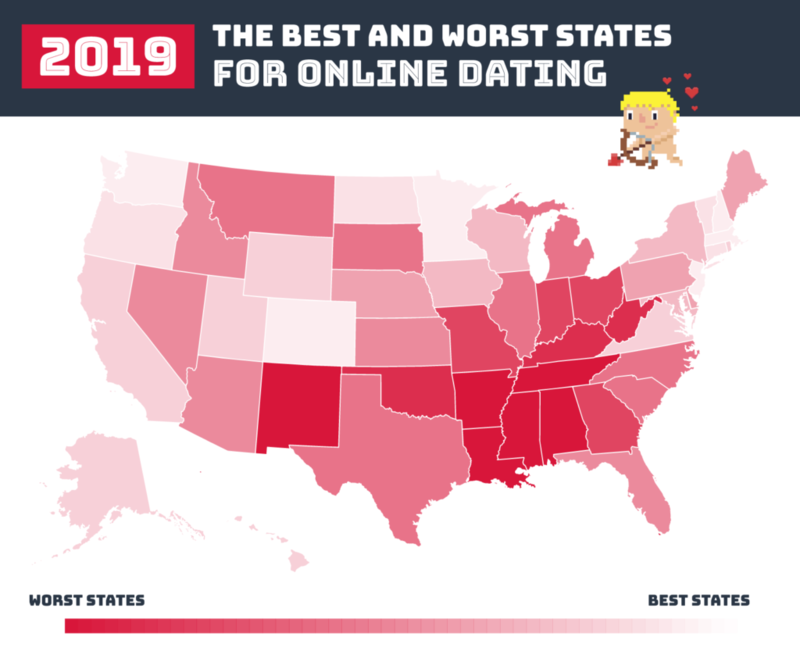 Four of the five worst states for online dating remained the same from 2018 (Arkansas, New Mexico, Mississippi, and Louisiana). South Carolina was replaced by Alabama, and Louisiana moved from #48 to #51. Vermont tops our Safety Rank, the District of Columbia is at the bottom. Colorado, ranked #3 overall, and #1 for demographics. Of its residents aged 18 and over, it has 100.02 males for every 100 females—the closest gender balance of any state and also one of only five states with more males than females. 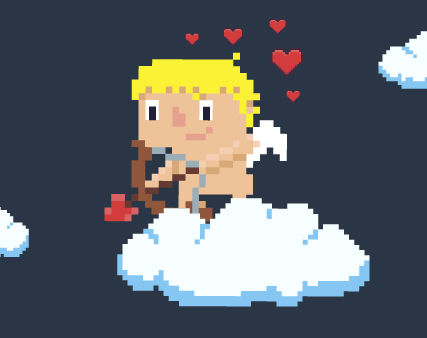 A higher overall score means a better state for online dating. Boom. Get online and meet your soulmate (and count on reliable AT&T Internet for the best experience possible).